Trekking in Nepal is a dream for many. The country is home to some of the best trekking destinations across the globe that are enthralling, exciting and challenging at the same time. Though there are numerous trekking routes in the country but one that stands out among all is Everest Base Camp trekking in Nepal. Every year, thousands of trekkers come to this land of the Himalayas to test their patience, skill, physical stamina and fill their thirst for adventure by embarking on this long, arduous trek. In order to make this experience worthwhile, here are some tips on things to avoid while trekking to the Everest Base Camp. -Don’t go unprepared: Keep it in mind that you will be trekking to the base camp of the highest mountain of the world and it is definitely not a child’s play. It is crucial for you to start preparing yourself physically and mentally well in advance so as to avoid any sort of discomfort during the trek. Stay away from cigarettes if you are smoker and give your body as much workout as you can to enhance your endurance levels. 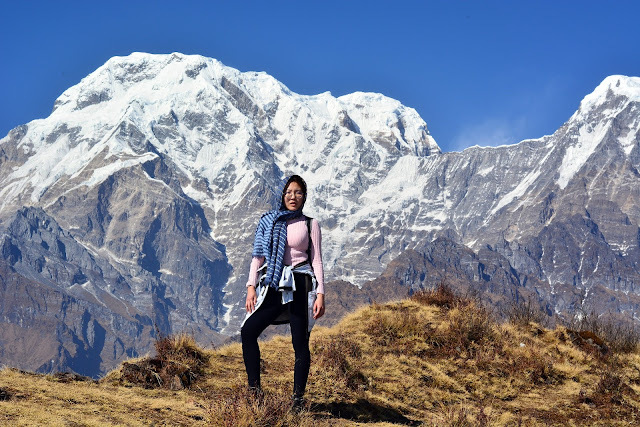 -Don’t trek solo: There is no doubt that trekking alone can be fun at times but not when you are in the Sagarmatha national park. Though the entire route to the base camp is well-marked but it is always good to trek in a group. You will meet new people, create new friendships and most importantly, in case of any emergency, people will be there to help you. -Don’t skip acclimatization: While you will be trekking in Nepal or any of its difficult routes, it is crucial for you to acclimatize your body to the high altitude. Altitude can have a severe impact on your health and ruin all your dreams. So, give some time to your body to get used to the altitude and take everything slow and easy. -Don’t compete while trekking: Whether you are an amateur or experienced, you must avoid competing. Especially, when the route is Everest Base Camp Trekking in Nepal. Trekking fast will not help. Since trekking slow is the key to success for difficult routes, it is advisable to have average speed. -Don’t eat heavy: You are going to trek high towards the altitude. It needs immeasurable strength and stamina in the body. Therefore, it is recommended that you avoid eating heavy. You may carry enough munchkins with you to provide an adequate amount of energy in the body. You may choose from chocolates, protein, energy or muesli bars, dry fruits, nuts etc. -Don’t use cheap gears: It is impossible to complete trekking in Nepal if you do not have good quality gears. Hence, avoid cheaper gears and go choose something that stays with you for a longer period. It can be footgear, trek suit, caps, woollens, water-resistant socks, gloves etc. It is not necessary that you go for brands only; you may have to search the markets. You can also buy gears from Kathmandu where you can get good quality with an affordable price. Avoiding the above things while going for trekking in Nepal is surely going to enhance your experience. But, it is highly suggested that you must go for an easy or at least a moderate level trek before you jump on to a difficult trek as Everest Base Camp Trekking in Nepal.